Footprintfocus Cádiz & Costa de la Luz is the only dedicated guide available covering this popular Spanish destination. Features an Essentials section with practical tips to help plan a trip, detailed information on attractions and comprehensive listings of where to eat, sleep and have fun. Loaded with advice and information on how to get around, this concise Footprintfocus guide will help travellers get the most out of Cadiz & Costa de la Luz without weighing them down. 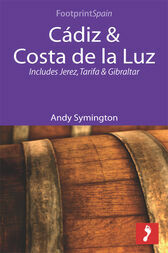 The content of the Footprintfocus Cadiz & Costa de la Luz guide has been extracted from Footprint Andalucia Handbook.